Oklahoma Connection | Kirkpatrick was born and raised in Oklahoma City, Oklahoma. John Kirkpatrick’s maternal grandfather first came to Oklahoma “at the head of cattle herds,” while his father set up a dental practice in Oklahoma Territory and helped establish the Oklahoma Dental Association. Rear Admiral John Elson Kirkpatrick was born and raised in Oklahoma City and attended West Point, Marion Institute and graduated from the U.S. Naval Academy in 1931. In 1932, he married Eleanor Blake of Mangum. During World War II, Kirkpatrick served as a gunnery officer aboard the USS North Carolina and later served on the USS Alaska and the USS Oklahoma City. 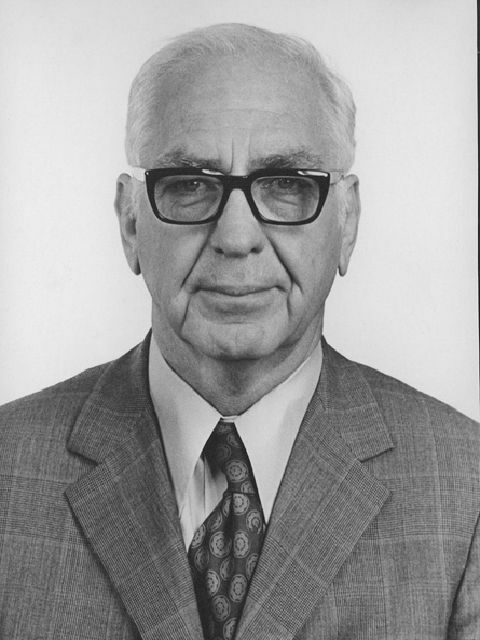 When he returned home to Oklahoma, Kirkpatrick entered the oil business and in 1950 founded the Kirkpatrick Oil Company. The Kirkpatricks were prominent civic leaders in Oklahoma City and their generosity and philanthropy included multiple arts and education organizations. Their generosity continues today through the Kirkpatrick Foundation. Science Museum Oklahoma was made possible largely through the support and generosity of the Kirkpatricks. In 1999 Kirkpatrick was among the first six inductees in Oklahoma’s Military Hall of Fame.